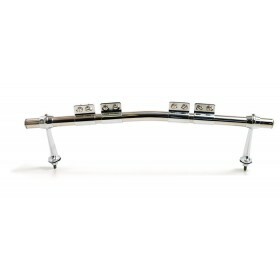 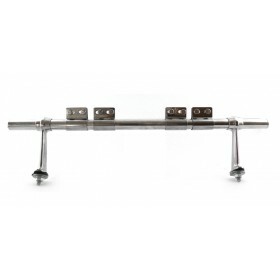 15 Inch Stainless Steel Badge Bar, " Straight or Cranked. 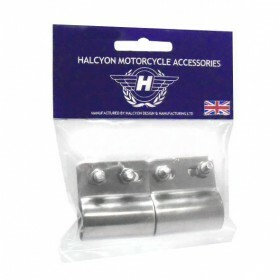 Brass chrome plated end brackets complete with 4 stainless steel clips and screws. 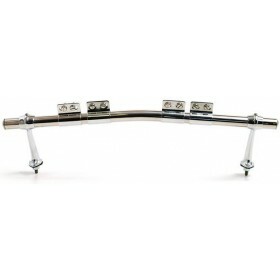 Including mounting studs and gaskets.